Equi-Heart Pledge: Day 9: Accessing Infinite Possibility with the Unicorns! Day 9: Accessing Infinite Possibility with the Unicorns! The Unicorns are back! 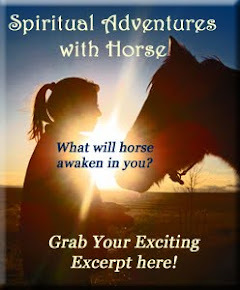 This time with a demonstration about expanding your possibility by holding a new energy! The Unicorns carry the highest equine vibrations and are most interested in helping you align with your Soul's Purpose so you can Serve with your Gifts in joy and love! If you are intrigued by the unicorns and want to deepen your connection, here are a few resources I've used. I love this oracle card deck- from the moment it arrived it's been my go-to deck when I want to give myself a card reading! Although the card images are computer generated (and thus on the disappointing side) and the accompanying booklet is sparse, I find I always get the guidance I need to move ahead! While I'm not in love with these last 2 books, there are few resources on Unicorns (meant for adults!) 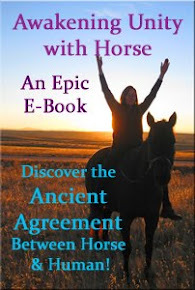 and these both provide a wide array of information and exercises to help you connect with the Unicorn energy.